What if Apple’s virtual keyboard could give you tactical feedback on each key press? 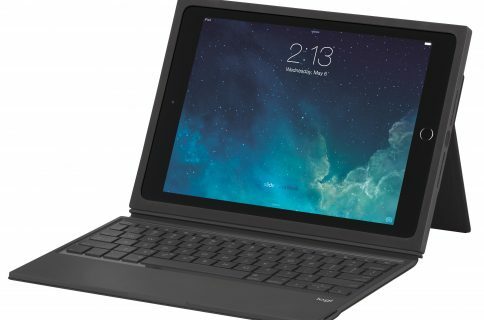 This very idea has led Tactus Technology to embark on a project that’d result in a special case that magically morphs into a tactile keyboard buttons which raise up directly on your iPad mini’s screen. 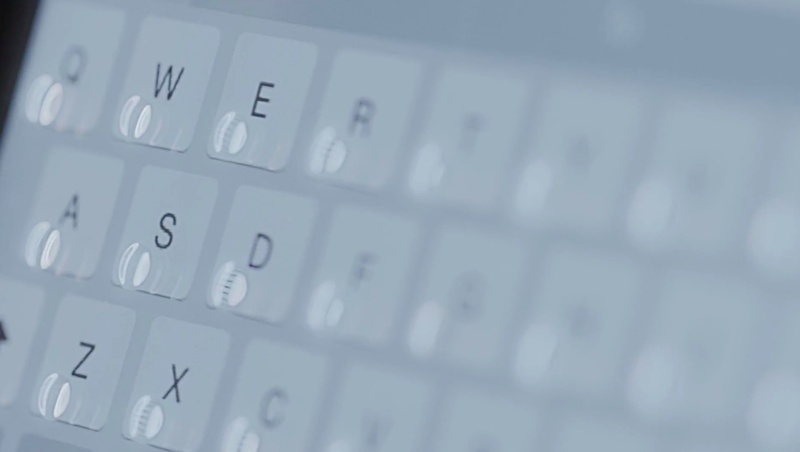 You’re still using your on-screen keyboard, it just has a tactile feel to it now. Based on microfluidic technology, the Phorm, as they’re calling it, consists of an iPad mini case and a screen protector which does all the magic. A huge slider on the back of the case lets you dynamically add or remove fluid-filled keyboard buttons that give you tactile feedback. “The anxiety of auto-correct disappears, your productivity increases,” says Tactus. So, is the Phorm but a gimmick? Read on. 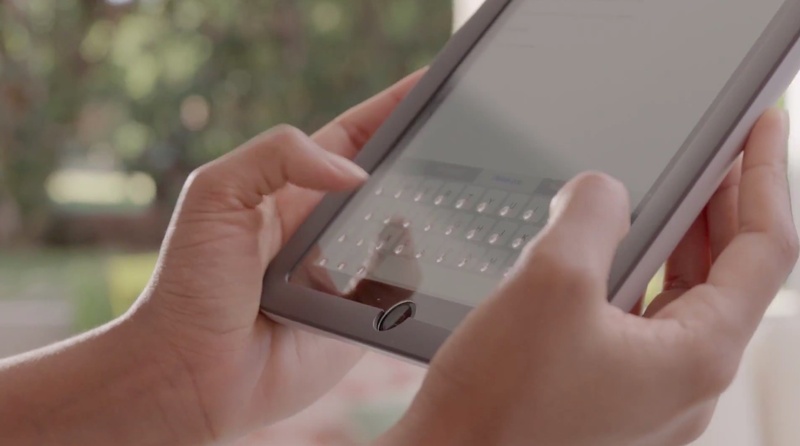 By making your iPad’s touchscreen more touchable, the Phorm lets you stop thinking about how you type and focus instead on what you’re saying. The accessory was engineered by the industrial design firms behind the Beats by Dre products. The microfluidic technology that activates optically-clear buttons with a simple slider bar on the back of the case sure sounds intriguing, though it needs some work. For starters, the screen protector ins’t adaptable: the Phorm works only with the iPad mini and does not support typing with the larger keys in landscape mode. The screen protector portion of the case contains a series of small channels filled with fluid. When activated, the case sends the fluid up through the channels and into holes. When you physically press a button, the force is transferred and introduced against the display portion of the case, creating a touch event on the iPad’s multitouch screen. The case isn’t wireless so it doesn’t introduce a battery drain and you don’t need to charge it. And because it’s optimized for Apple’s stock keyboard, SwiftKey, Swype and Fleksy keyboards, other third-party keyboards that implement variously-sized keys and introduce their own user interfaces and special keys won’t work properly with the Phorm. 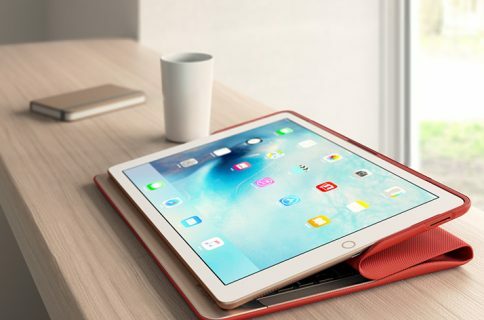 A second-generation Phorm will introduce versions for both 7.9 and 9.7-inch iPads. According to the startup, Phorm editions for the iPhone 6, iPhone 6 Plus and iPad Air 2 are already in the pipeline. You can pre-order yours over at GetPhorm.com for $99 a pop. Slate Gray and Sky Gray versions are currently available. The Phorm will start shipping this summer and will retail for $149 when it debuts.